Our Village Community - Dixboro Village Green, Inc.
Moonwinks is the neighbor cafe where everyone knows your name. Sip a cup of joe while reading the morning paper in an arm chair. Or dine on a delicious lunch in a bubbling atmosphere surrounded by great conversation with many smiles and laughs. Step up on the front porch and back in time as you wander the historic general store coming across items from jams to furnishings. This is a unique Dixboro only experience! Dixboro has always been about the “good life.” So, it makes sense to take some time to enjoy yourself at this quant professional studio with a therapeutic message or maybe even a hot stone message. 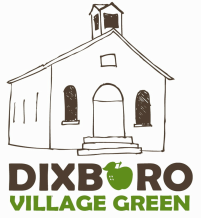 Relax, you are in Dixboro!